For the past two days, I’ve been busy filming my role as mum in the new TV commercial for Sainsbury’s who are promoting their ‘Brand Match’ offer. 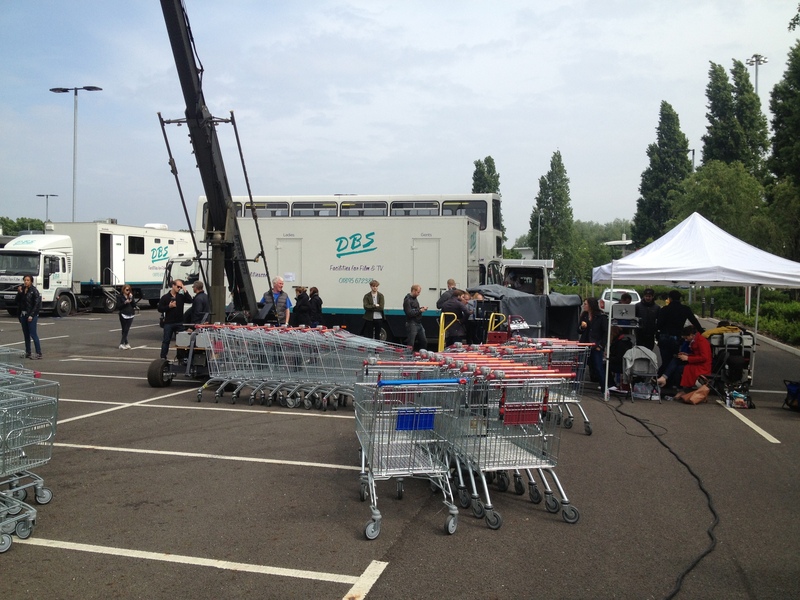 Shooting took place on location at a huge Sainsbury’s store in east London. I can’t reveal too much about it as it hasn’t started to air yet but it was technically quite a challenging commercial as you will hopefully soon see. The store stayed open during filming with real shoppers grabbing bits off the shelves between takes! Some shoppers seemed totally oblivious of the cameras! We also did some outdoor shooting in the car park, including an ariel shot for which we used the help of a huge crane.